As he heads homewards from the northern reaches of Europe, wandering Tasmanian Bert Spinks finds time to dip his toes into the "stylish", "serious" and "eccentric" beer scene in Copenhagen for another Beer Travel missive from the other side of the planet. I have less than 48 hours in Copenhagen, and I am supposed to be doing research on another topic altogether. Yet there is no way I will not spend an afternoon drinking here, because craft beer from the Danish capital has a mighty reputation, all the way from northern Europe to my local bottle-o in Tasmania. Which makes me wonder: how has this happened? It’s two o’clock on a lazy Sunday afternoon and I am in the Mikkeller Bar sipping on a Berliner Weisse, discussing the matter with conscientious barman Ask. Aside from having a great Nordic name (a reference to the old Viking tree of life), Ask is surrounded by young women this afternoon, and takes a kind of childlike joy in discussing beer. His theory for Denmark’s craft beer riches? It’s the result of “a lot of great people in the same place at the same time”. Ask remembers his early outings to beer bars in Copenhagen about a decade ago, which coincided with the arrival of Shaun Hill (today described as the ‘beer genius’ behind Hill Farmstead) in the city to work with breweries Fanø and Nørrebro Bryghus. And of course, polymath Mikkel Borg Bjergsø was having his own brewing revelations at around the same time, pouring beers at a Copenhagen café-bar. Young Ask, of course, wouldn’t have guessed that it would develop so much in the years to come; neither that he would work for one of the world’s most famous craft beer joints, nor that it would draw so many pretty girls to hang out with him on a Sunday arvo. Denmark is considered one of the world’s most stylish countries, and has the wealth to support it. When I suggest this influence to Ask (pictured behind the bar below), he agrees that Danes have long had an "awareness of quality". Local fashion and restaurant culture is highly regarded. 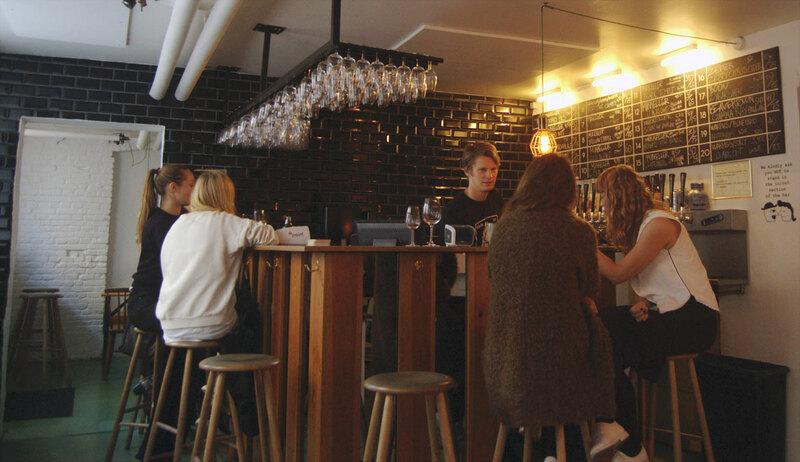 (Next door on Viktoriagade is the Mikkeller restaurant, Øl & Brød, a very classy eatery pairing brews with local cuisine). 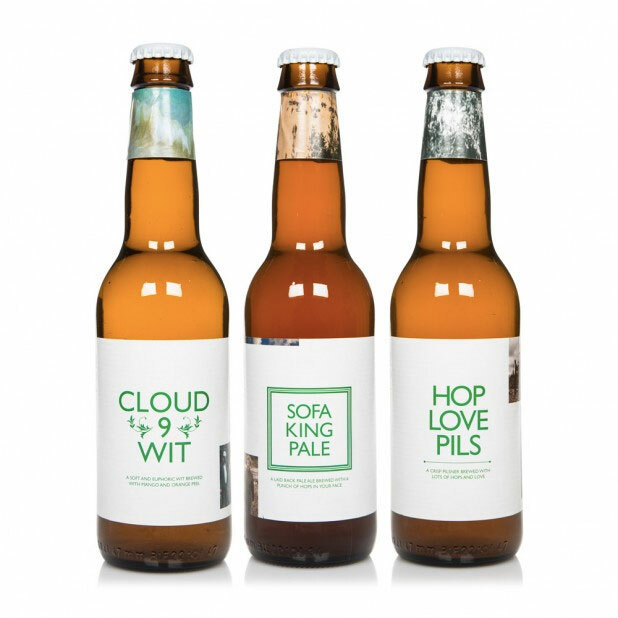 The Danish aesthetic is also evident in marketing their beers: Mikkeller’s Keith Shore-designed labels are eye-catchingly funky, while To Øl’s art director earlier this year wrote: “I wish to make the consumer aware of the design and product they are buying. Each label (see bottles below) is a negotiation of what a beer can look like just as each beer is a negotiation of what a beer can taste like.” In other words, it’s serious stuff. 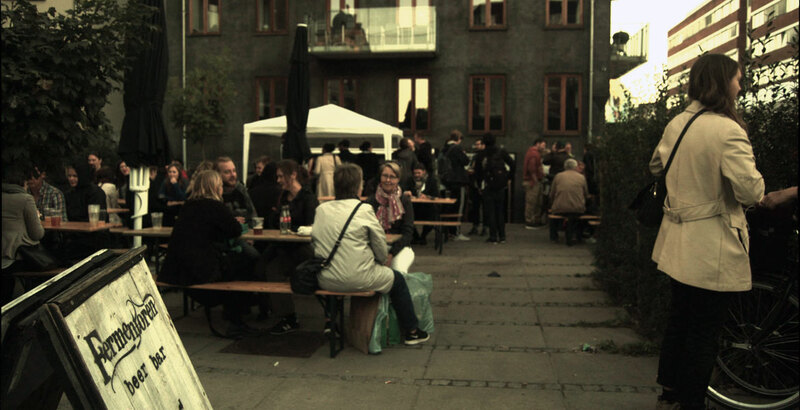 Still, the vast majority of Mikkeller’s sales are exports, and most visitors to the Mikkeller bar are tourists. Forty percent of them are Swedish, Ask estimates; it’s only a short train ride from Sweden to Denmark, after all, and although Denmark is few people’s idea of a cheap country, Swedish brewing is strictly controlled and heavily taxed. Norway is even more so – although I’m later told that it has one of the world’s great homebrew cultures for this reason. As I move on to a kriek collaboration with Norwegian brewers Lervig and Lindheim, I ask Ask about the mythos of Mikkeller and his Evil Twin, Jeppe Jarnit-Bjergsø. He says they are stocking Evil Twin beers for the first time. Thinking of the intense competitiveness of the two brothers, I wonder aloud whether competition has done a lot for the Danish craft beer scene. Mikkeller operates as a gypsy brewer, and has thus forged unique international collaborations, as well as operating bars under the name Mikkeller & Friends in cities across Europe and in North America. Other Danish brewers are equally promiscuous, a fact that is immediately obvious when I arrive at Fermentoren, a beer bar a few blocks away. 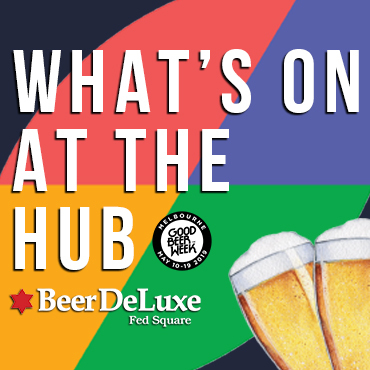 Unbeknownst to me, they’re holding a fundraiser event, and a number of Danish brewers have donated a keg for the occasion, as well as showing up to enjoy their own wares and chat with punters. There’s also a profusion of Aussie accents, and the rugby is on the big screen: Jay Pollard, a burly, bearded New South Welshman, is one of the blokes behind this bar’s existence. He’s running bars in both Australia and Denmark, and his perspective is that there are both financial and creative reasons why Denmark has such a great beer reputation. He gives me the numbers on tax: per pint, Danish brewers are taxed noticeably less than they would be in Australia. And what’s more, while Jay reckons a lot of Aussie microbrewers are "apologetic" for producing craft beer, the Danish brewers simply aren’t. Fermentoren is completely packed, and I grab a pint of the house’s delicious Christian Bale Ale (Jay is brewing here under the name Dry and Bitter) and a spare seat next to a friendly group of Danes and Americans. Kasper is a beer blogger just returned from a tour in Belgium. He is justifiably proud of Denmark’s brewing culture. “There are nine Danish beers in the top 100 beers in the world,” he tells me, without naming his source, although he’s also happily to criticise local brewers if he thinks they’re not up to scratch. Kasper also introduces me to Andreas Pedersen, who moved from Norway to work at Amager Bryghus. For Andreas, Copenhagen is “the pinnacle of brewing in Europe.” Amager has donated a keg of their Liquid Hops, an experimental IPA using liquefied Herkules, Simcoe and Cascade hops at the dry hop stage of brewing. Jay and Andreas are not the only brewers drawn to Denmark for their trade. Kyle Wolak of 3 Floyds has shifted to brew at WarPigs, the US brewer's Copenhagen brewpub-restaurant collaboration with Mikkeller. There’s also the collaboration that brought Denmark’s Christian Skovdal Andersen to Australian shores, in a collaboration with Victorian brewer Adam Betts – a partnership that gave birth to Edge Brewing, who this year took home awards at London's International Beer Challenge. While Christian is no longer working on the Edge project, it certainly did no harm in increasing the awareness of Danish beers and perhaps introducing a few more Nordic brews to bottleshops on our fair shores. Of course, how something like craft beer develops is complicated. Economics, legislation, tradition and marketing all come into it in ways that a dull-minded, beer-sipping storyteller like me can’t fully understand. But as I mill around Fermentoren for far too long with a lot of good quality craft beer folks, I think back to the first answer I received and hope it’s as simple as that: the collaboration of a few eccentric innovators, along with an encouraging public willing to put their money where their mouth is, has made it possible for a small country like Denmark to produce a lot of good beer for the rest of us. And it’s nice to think that there’s a bit of a connection between Danish and Australian craft beers. And why shouldn’t there be? After all, the Princess of Denmark is from Australia. She’s in fact a patron of Denmark’s fashion industry. Could she not also represent a craft beer alliance between the two countries?